Now a days most of them are used to painkillers, but in some cases the pain can eliminate the consumption of certain foods. These foods have a positive impact on the body and relieve pain, and therefore as a medicine from nature, you can use them every day. 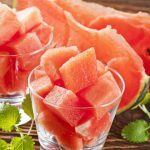 Given below are foods which can help you get rid of the pain. This miraculous ingredient is known to all of us from the ancient times, garlic is a healing food, and it is advisable to add it in our food, as it strengthen the body and prevents numerous diseases. But did you know that these foods can also help you with pain relief? 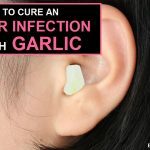 Garlic, in fact, you can stop the pain in the ear by chopping half garlic clove, slightly warm the clove in a pan, and then put it in a thin cotton sock. Then squeeze a little to sock it to be damp, with proper covering place it on the ear and secure it with a bandage or cap. With this coating the pain will disappear. Garlic can help to eliminate pain in the uterus. It is necessary to chop the garlic as finer as possible, and then boil it in half a liter of milk for 10 minutes. Half the quantity of milk to drink in the morning and half in the evening, follow this method until pain and cramps in the womb does not stop. Check out the other foods below which are natural painkillers. There is one little trick that you should do before going to sleep, so that you wake up in the morning without nausea and headaches after wild parties. Before you tuck into the bed drink more water to prevent dehydration during sleep, which will cause the symptoms of hangover. Water will also help your body to get rid of toxins, which is released by the liver during alcohol degradation. This delicious snack is a rich source of vitamins, and in addition has a positive effect on hair and skin, it strengthens teeth and almost all internal organs, as well as the immunity of the whole body, It can also help to eliminate pain in the legs. The medicinal products prepared from leaf or bark of hazel is used as a compress to treat wounds on veins. To prepare the coating, you need only two things: a handful of fresh leaves of hazel and a liter of water. – Sheets chop; pour a liter of boiling water and cover it with a lid. – Leave it for an hour, then strain and drink in four doses throughout the day. 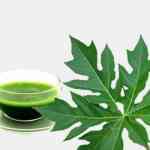 – This tea can also be soaked by the linen cloth which you can put as a compress on the painful vein. Change compress every two hours. To alleviate headaches or stomach cramps, consume foods rich in omega-3 fatty acid which acts as an anti-inflammatory and allows the production of prostaglandins (natural painkiller) in the body. Also, it is important to consume foods which are rich in magnesium, such as green leafy vegetables and fish, because these foods relaxes the muscles. Various studies have shown that ginger is excellent antioxidant which helps reduce the impact of two types of enzymes in the body that are associated with various kinds of inflammation. It is recommended to patients who suffering from bone diseases because it reduces the pain and stiffness, and will bring relief to those who have acute discomfort and pain. A glass of lemonade or fresh lemon juice with a teaspoon of salt will help in the treatment of headaches. In the case of headaches this trick can relieve you of pain almost instantly, but one should be careful and not resort to this method often, because excessive intake of salt is not recommended. Spinach is beneficial to our body in many things, but great in the case of headaches because it contains roboflavin, a type of B vitamin that prevents migraine. 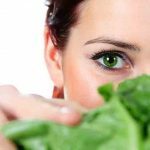 And other green leafy vegetables are excellent in the fighting against the pain because of the rich variety of vitamins and minerals that work on anti-body. Experts says that, most common cause of pain in the body is due to dehydration, experts say. Therefore, those who have frequent pains are recommended to drink coconut water, fluid from young, green fruit of the coconut palm, which is the best natural source of potassium. Potassium is the best way to restore hydration to the cells and to solve the pain almost immediately. These tropical fruits contain enzymes affecting the very source of pain in the body. You can eat them fresh, and you can make and drink fresh juice. In any case it makes very chronic body aches vanish. Whether you suffer from chronic pain or suddenly feel any pain in the body, eat sour cherries or cherry juice. Experts says that they are rich in antioxidants which block certain enzymes associated with inflammation, and some studies recommend to consume cherries to arthritis patients. Sour cherries will help you to get rid of muscle pain after exercise. Sesame is rich in vitamin E, which helps to balance the levels of estrogen and soothe migraines during menstruation. Get into the habit of that, particularly in these days, every salad, fried food, and even the soup, sprinkle with a little sesame. Pepper is a great spice that gives piquancy food, and contains capsaicin which increases the pain threshold and reduces the frequency of headaches. Chili peppers contain an ingredient called capsaicin, which has proven to be a great fighting agent against inflammation and pain. You can a make a paste of this with water and apply on sores and inflamed muscles. It is possible that the skin reacts with redness, or might also the burning sensation for a while, but doesn’t damage your skin. Within a few minutes, you should feel the relief. Chili is particularly effective in the fight against inflammation and joint pain. Tea therapy is particularly effective for headaches caused by tension and stress. In this case, the most effective teas are: ginger, lemon balm, mint, chamomile and rosemary. The compounds of chamomile give a soothing effect to the skin and make it smooth. Chamomile is effective in eliminating smaller glavolja and other painkillers. A study in 2010 reported that the chamomile is excellent for pain relief caused by hemorrhoids, arthritis, ulcers, menstrual pain and wounds. Pain can be relieved when coating of sheet-covered with chamomile from the boiling water that you left to stand for 24 hours, to be applied with a soft cloth containing liquid chamomile to the body parts affected by pain. You can also add a few leaves or chamomile tea bags in hot water for a bath in which you can swim for one hour. Sage tea can be taken twice a day for 2-3 days before menstruation and between meals. Chamomile is good to decrease the pain and it is desirable to drink 3-4 times a day. Tea made from the seeds of caraway eases menstrual cramps and prevents cramps. Take this thrice a day. You can try the tea of valerian, or black currant tea, which helps muscle relaxation. Tea made from yarrow also helps with all problems related to menstruation, it helps relieves cramps, PMS symptoms, anxiety and calms inflammation of the ovaries. 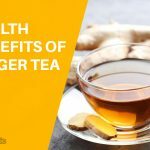 This tea is effective in the treatment of headaches .Ginger prevents the formation of prostaglandins, which causes headache. To eliminate the headaches should be every three hours after drinking half a teaspoon of ginger powder, dissolved in half a pint of water until the pain stops. This drug can also be used on a daily basis, in order to prevent, in people prone to frequent headaches. Tea can be prepared from the fresh root, by mashed 2-3 cm root, which will put in half a liter of boiling water, boil and leave for half an hour and cooled before drink. This tea reduces inflammation at the same speed as aspirin. Clove has long been used as an ingredient for the removal of dental pain. Clove has a mix of anti-inflammatory and antibacterial ingredients that make it ideal to remove toothache. Dilute essential oil of cloves with any vegetable oil (sunflower, olive,) in 1:10 proportion. If you do not have the essential oil of cloves, you can make a paste of ground cloves with water and apply to the painful part of the body. Lavender is a plant that represents calmness and happiness, and has recently been established that it has a positive effect on reducing pain. One drop of lavender oil can be used on area affected by insect bites; Rub lavender essential oil on aching muscles for instant relaxation. A few years ago, a study found out that the effect of lavender essential oil can eliminate postoperative pain after cesarean section, and it was found that only the inhalation of lavender oil gives excellent results and relieves pain and relaxes the body. How to Use Aloe Vera for Sunburn Relief? How to Use Cloves for Toothache Relief?